Israeli Military Combat Trauma Bandage | BUDK.com - Knives & Swords At The Lowest Prices! 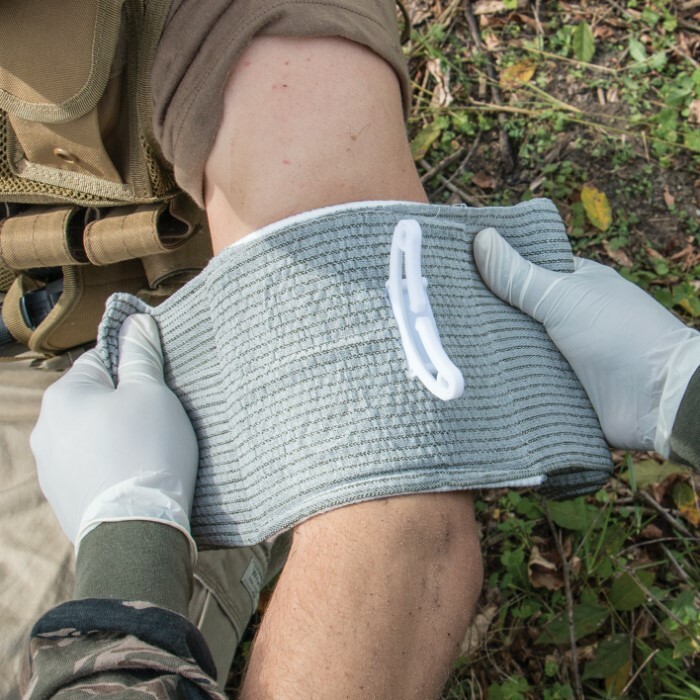 The Israeli Military Bandage is a combat trauma wound dressing that you can count on in the worst possible situations. It features a nonadherent pad combined with a pressure applicator and closure bar. 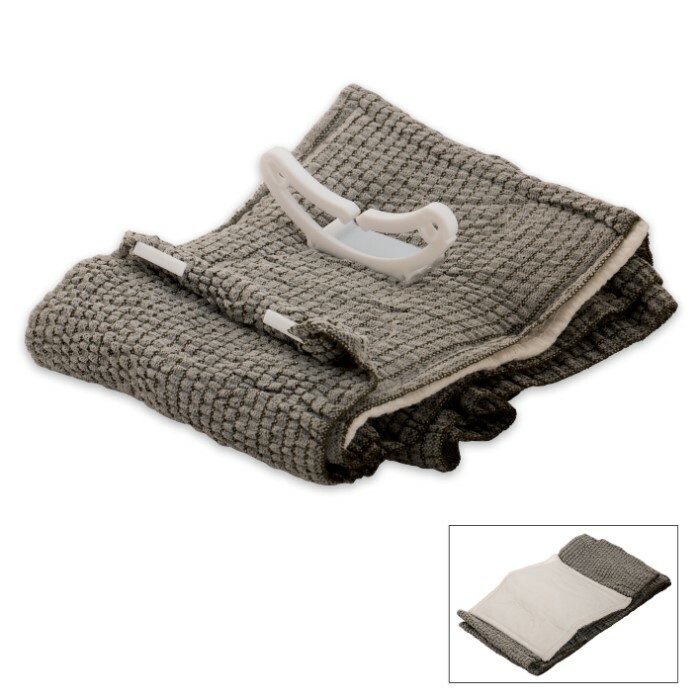 It is constructed of sturdy nylon material and is 6" x 61 1/2". Putting together a survival kit and this item is a must just in case. Compact and lite and easy to pack but big on use if you need it. 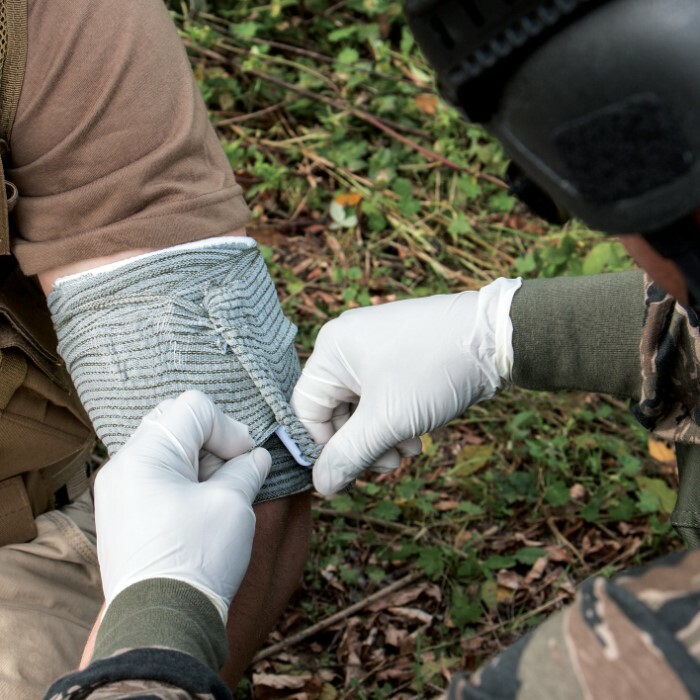 After 35 years of military service and numerous deployments in combat zones where I have seen this bandage used it is one of the most important items that a soldier can carrier in his or her individual first aid kit. This bandage can be used for all kinds of medical applications and can be applied with one hand if need be on your self. It self locks into place so as not to come undone as the wounded person is moved around. If you buy one seek out training on how to apply it to different types of wounds and how the locking clip works. For anyone adventuring into the outdoors, hiking, four wheeling, camping, fishing, etc. this product is a must in any first aid kit.